Selling a house in the wintertime can be a bit tricky. Your garden is looking far from its best, dogs and children are wont to bring in mud and leaves, and everything looks so grey. 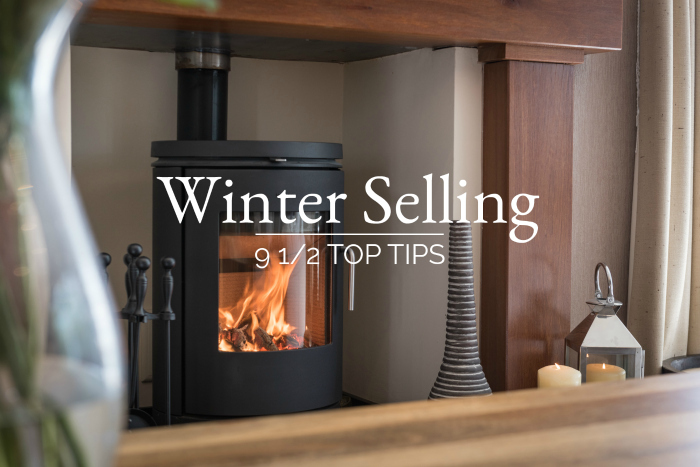 So to help you get your home shifted by the new year and get you moved on, we’ve put together our Top 9 Tips for Winter Selling, with an extra bonus ‘half’ a tip we threw in at the end. Be strict with boots and shoes – off at the front door then away out of sight. Keep muddy wet dogs out of the house – in the car or with an understanding neighbour. A non-doggy lover will be very sensitive to any aromas of wet dog, and even some doggy-lovers too. Blitz your garden – have your outside hard areas power-washed and cleaned. Getting rid of leaves and debris, and power-washing any grubby areas will really help your garden look well cared for. Put away your garden furniture if it is plastic or wood; if it’s metal, you can leave it out so long as it doesn’t look too forlorn. Make sure tables and chairs are arranged nicely, and store your parasol away for next year. Keep your home warm and cosy for viewings. If you have a real fire, keep it laid ready for lighting, light all your side lamps throughout the house. Don’t shut your curtains until at least 8pm, to give any drive-by viewers the chance to see how welcoming your home looks from outside. Give them a bright welcome – clear your garden path and driveway of leaves and grit if you need to. Put your outside lights on, and check all bulbs to make sure they are working. Test motion sensor lights, and make sure your viewers can walk around the outside of your home in the dark without breaking their necks. Put your viewings on pause over Christmas; your home never looks its best covered in Christmas decorations with your living room dominated by the tree. At the very least, it will give you a break whilst you’ve got so much to do. If you follow our top tips for winter selling, you could be moved by the time the daffodils appear! Next StoryDo Brochures Sell Homes? We are a customer experience company, dedicated to helping you love the experience of moving home, by focusing entirely on you, not your property, and creating bold, beautiful and bespoke marketing to make you feel valued and important.